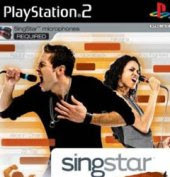 Enough votes and emails have come in to indicate that most of the ones who would be interested in a Singstar party (or any party at my place) won't be able to make it on the 31st. So the party has now officially been moved--if I say so myself!--to the Saturday the 17th of January. Consider yourself invited. I will send out emails to invite you all as well, but if you are reading this, and know me, and don't get the email--don't be mad at me and show up, I'll be glad to see you!